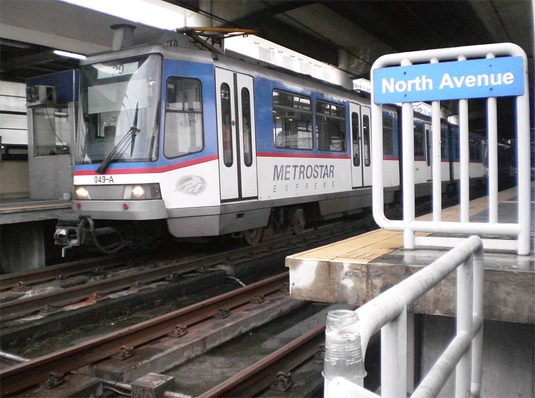 This coming January 2013, Transportation Secretary Mar Roxas is said to be plotting a fare hike in all Metro Rail Transit. He said that the long-delay in the MRT Fare increase will be implemented by this coming year 2013. The MRT fare hike had been long decided and it will be just implemented this January 2013. Department of Transportation and Communication (DOTC) can no longer delay the said increase because their budget for next year had been reduced. Roxas said in an interview, "Palagay ko hindi na rin talaga maiiwasan by next year dahil yung budget na tinatalakay ngayon sa house hindi lamang kung ano yung ibinawas for this year pero may dagdag na bawas pa sa subsidy." P75 billion subsidy had been reached by the Government for more than 10 years of subsidizing the MRT fares. Roxas also cleared that the fare will be very much reasonable for al the commuters and it will not be higher than the current fare of a bus. He said, "Hindi lalagpas ng P36 definitely at saka sa palagay ko magkakaroon naman ng phasing, phase by phase para hindi mabigla." Well, I guess this news won't stop commuters to use MRT as their transportation medium. MRT won't give you the so-called 'street traffic' like highways does, however accidents and circumstances do happen sometimes, still Rail Transits are more reliable, especially in the moments that your getting late for school or work. Comments or suggestions about "MRT fare increase in January 2013" is important to us, you may share it by using the comment box below.